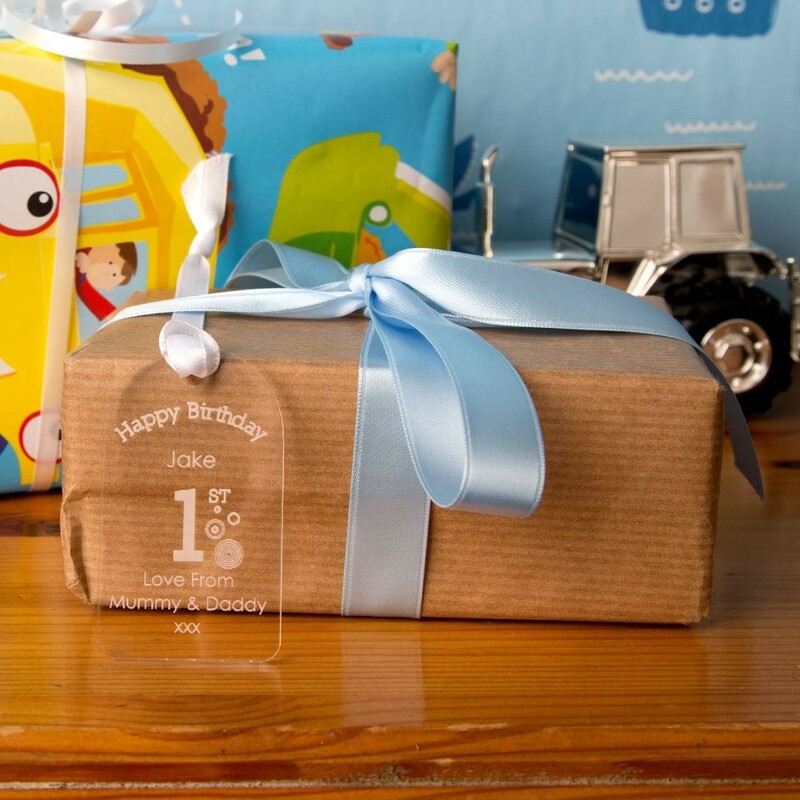 This acrylic gift tag finishes off a 1st birthday gift perfectly. 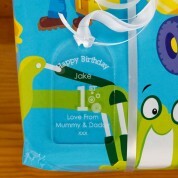 Any parents eyes will light up when they see the personalised tag before the gift has even been opened. 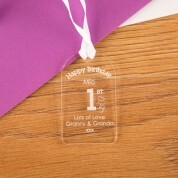 Each tag comes with a loop of white ribbon so it is easy to attach to any gift and can be kept after the gift is opened. 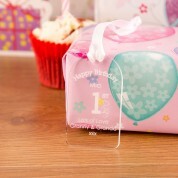 It could be hung up in the baby's room on a window latch or wardobe door and will make a pretty addition to their room. 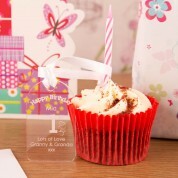 Alternatively it could be kept in a keepsake box with other baby and 1st birthday momentos. Dimensions: approx 3.5cm wide x 6cm high and 3mm deep.